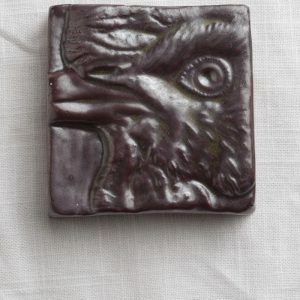 Stoneware tile with Andi’s Purple glaze. Oxidation fire. 3.25 x 3.25 x 0.875″ with indent on back for hanging. 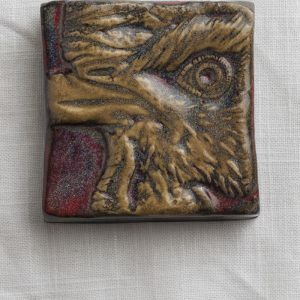 100% of the money made from this product will be donated to The Institute for Animal Happiness in order to support the care of their growing flock of birds rescued from abuse and neglect. 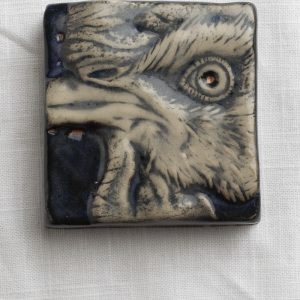 As such, the minimum price for this tile is $25. Any orders placed below this minimum will be immediately canceled and refunded. For the moment, we must charge tax. Residents local to upstate NY may elect to pick up their tile(s) free of charge. 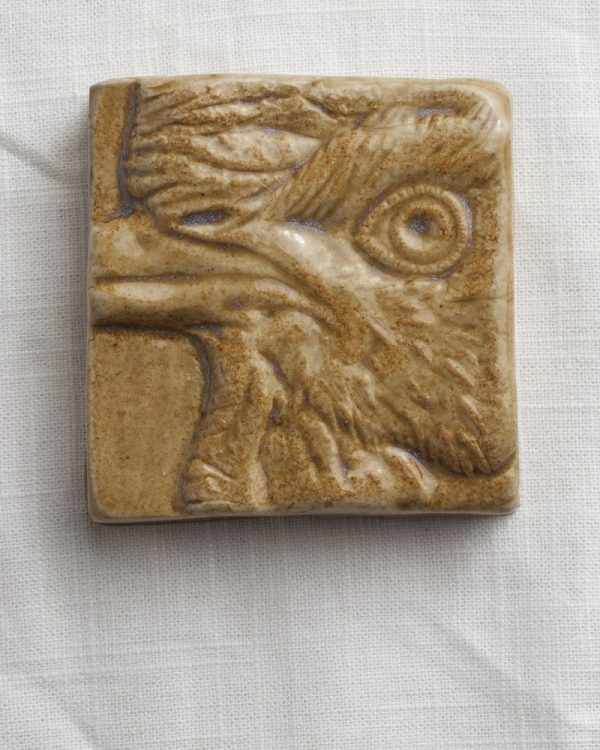 This tile is hand-pressed from a plaster mold. 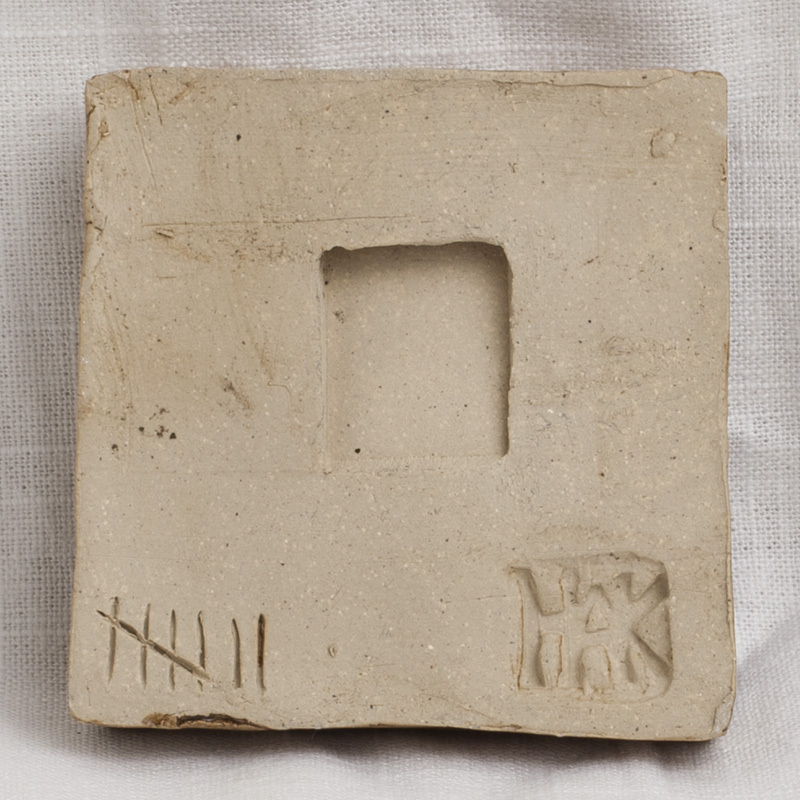 An original relief was sculpted onto a master tile, and from that master the plaster mold was made. The tiles are approximately 3.25 x 3.25″ and 0.875″ thick. There is an indent on the back for wall hanging with a nail. The Institute for Animal Happiness is a micro-sanctuary for rescued chickens in upstate New York. 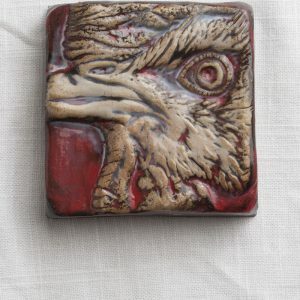 The likeness featured on this tile is of Buckles, a bird rescued from the violent Kaporos ritual slaughter along with another chicken named Pancakes. Sadly, Pancakes could not overcome the abuse he was subjected to and passed away shortly after rescue. Watch this video about their rescue. Domesticated chickens were bred to be disposable production machines right up to the end of their lives at slaughter. Veterinary knowledge of their medical care is disappointingly far behind most other animals. In difficult cases, the IAH must travel long distances to consult with avian specialists. Chicken caretakers around the world share experiences and results of diagnoses and treatments, and their collective knowledge helps to educate local vets. Because of this, the IAH is always in need of funding for chicken healthcare. We hope the ARR can make a difference for them.